2012 marked the 50th anniversary of Reg Spriggs crossing the Simpson Desert in his Nissan Patrol G60. To commemorate his grand achievement, Nissan elicited our help in creating an epic reenactment with Reg's children following the same path they had 50 years before. To increase engagement from the cult following of Patrol enthusiasts, we created a website that catalogued the illustrious history of the legendary SUV. 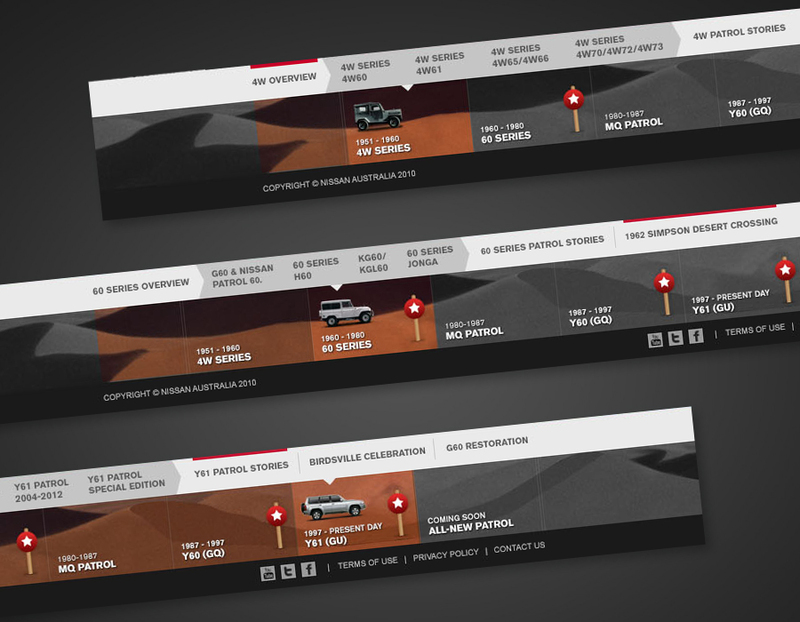 By scrolling through a timeline showcasing the lineage, achievements, and stories of the Patrol, users could reconnect with the vehicle's history, as well as learn about the upcoming reenactment and stay updated on the launch of the all new Nissan Patrol 2013. 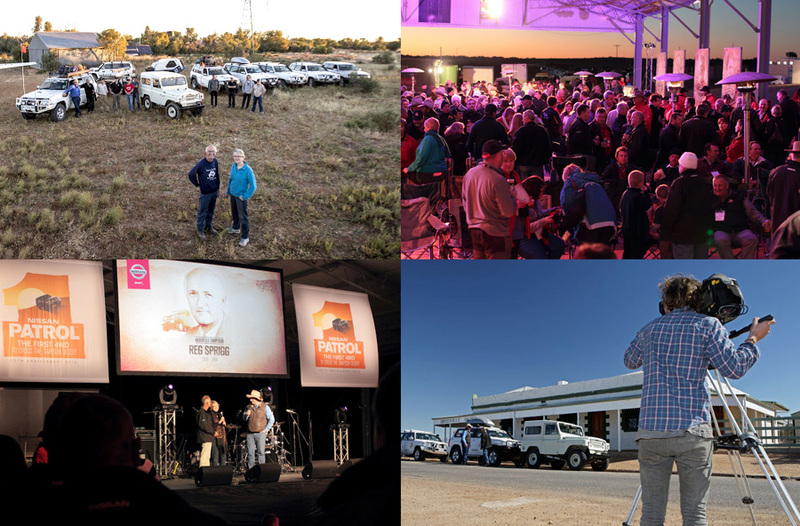 Working with Mr. 4x4 Australia, Pat Callinan and his team, we developed a newsworthy 50th anniversary celebration. A reenactment of the original Sprigg's family crossing concluded in Birdsville, and was heralded by boisterous celebrations – with a concert and large banquet at the town racetrack. Hundreds of Patrol enthusiasts invited from across Australia made the trip to Birdsville for the event finale.